Businesses that depend on phone calls for leads, clients and customers are increasingly making use of a valuable marketing technique known as call tracking. This popularity has made call tracking a $1 billion industry and that figure is only predicted to grow larger as more dental clinics, cosmetic surgery clinics, retail service providers, legal service providers, real estate agents, plumbers, and other businesses continue to track their calls. If you’re not using call tracking, now is an excellent time to start. Not only can it help you maximize your leads and conversions, but call tracking is great for SEO! However, in case you’re still on the fence, here are nineteen reasons to start tracking calls for your business right now. Call tracking allows you to track the sources of your phone calls, which in turn allows you to track phone conversions. The service works by utilizing a variety of different phone numbers that automatically forward to your business line. By delivering varying phone numbers to differing segments of leads, you can track where those leads are coming from, and much more. The rules can be based on geography, referral websites, or any other parameter. 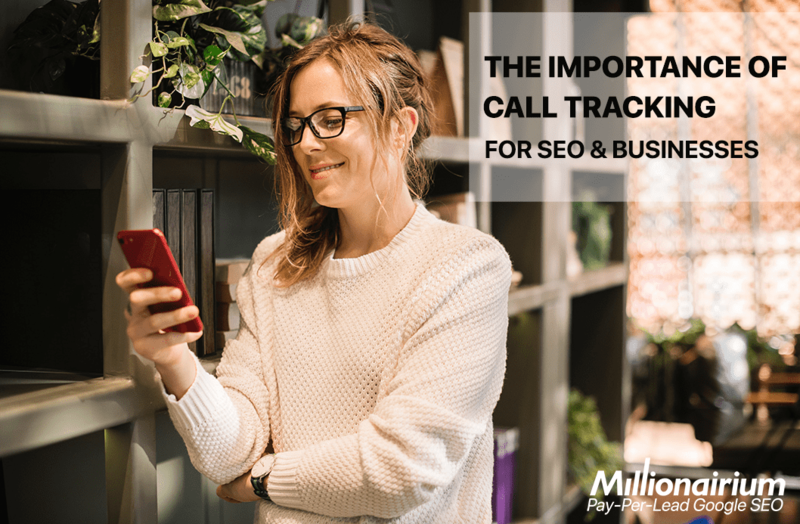 Once a call comes in, a range of data is tracked, such as the keyword used, campaign where the call originated, duration of the call, and more. To see just how valuable call tracking can be, here are fifteen reasons why the service is well worth the minor investment. By tracking phone calls, you’ll be able to mark the buyer’s journey with incredible accuracy. By doing so, you can attempt to shorten the journey as much as possible, therefore minimizing the time it takes for a lead to become a client or customer. For instance, you can look for ways to shorten phone calls, but you can also look for campaign redundancies and processes that can be more streamlined for more efficient marketing. For instance, you can attempt to get your leads to call you within two clicks or even one click after clicking-through an ad, for example. Any more than that is not efficient and phone tracking can help you maximize efficiency in all new ways. By tracking phone calls and listening to conversations, you can determine where your budget is being spent and how to best maximize your returns in the future. For example, if you notice that none of your leads are converting from a particular Google Ad, you’ll know to take that ad out of commission or tweak it so that your money can be better spent on marketing that works. 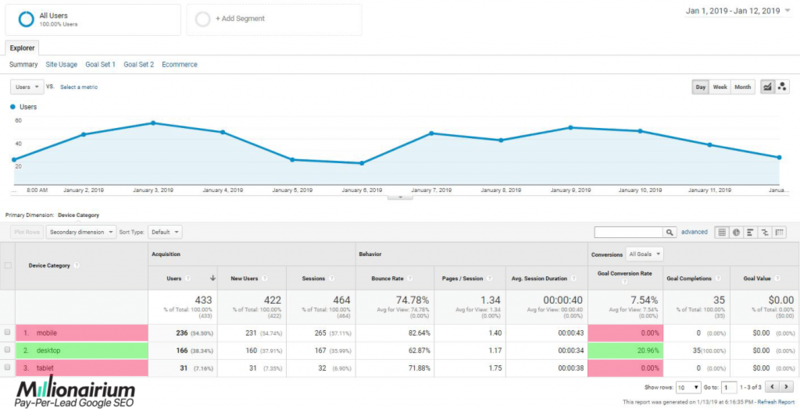 Tracking your phone conversions lets you know which ads are working. This lets you put more of your ad spend into effective ads without wasting money on ads that aren’t seen or clicked on. With call tracking, you simply become a more efficient marketer, and your money tends to go further with higher returns on your investment. One other excellent benefit of call tracking is the ability to compare and contrast different types of campaigns against one another. This way, you can more effectively calculate your cost per lead and rate of return, giving you much more control over your budget and results. With call tracking established, you’ll be able to record and play back all of your phone calls. This means that you can hear what prospects are saying after they’ve clicked on your ad. You can hear their questions, listen to their concerns, and identify new ways to boost your company’s customer service and improve your online campaigns. Call tracking gives you unique insight into which keywords are driving the majority of your conversions. You can then use that data to refine the SEO or Adwords campaigns and focus on the keywords that are working for you while getting rid of any that aren’t. Analyzing the customer’s journey with call tracking may allow you to identify issues that many leads are having, and that you wouldn’t have otherwise discovered. For example, maybe a form on your website yields an error. Only by listening to multiple phone calls where customers mention these problems will you discover the error, allowing you to fix that roadblock to keep the leads flowing in. You can determine which staff members are answering the phone and how many rings are sounding for customers before the phone is picked up. Listening to calls presents a terrific training opportunity. For instance, you’ll know which representatives are being most proactive by answering the phone. In addition, calls are taking too long, for example, you can host a staff meeting where you give tips on shortening calls for quicker conversions. You can determine if leads’ questions are being answered most effectively and if staff are having trouble closing the deal. All of these issues can be trained away, and call tracking lets you know exactly which lessons are necessary for staff improvement. By utilizing call tracking for your business, you can determine where your leads are coming from. This lets you more precisely target your PPC campaigns. You can see which customers are using desktop devices and which ones are using mobile devices to traverse your site before calling. You can also determine their screen resolution, which can help you optimize your campaigns for your target audience. Ideally, phone calls will convert in the shortest amount of time possible. Quick calls mean that more calls can be answered. Tracking and listening to calls lets you determine if your staff is allowing the lead to ramble or if they’re taking control of the situation to drive the conversion.Staff should be taught tricks to guide leads into the conversion, even as they listen to the individual’s concerns and answer questions before directing the caller to make a positive buying decision. Tracking phone calls allows you to test various conversion techniques to improve your campaigns over time. You’ll have on your hands real-life data that can help you make many important marketing decisions, and proper campaign testing is only one aspect of how call tracking can improve your business tenfold. With call tracking, you’ll be able to see which aspects of your site are working and which need to be improved upon. You can get this information through your customers’ own words when listening to calls and by analyzing the conversion data with each incoming call. You can also pair your call tracking data with a platform like Google Analytics to determine if your campaigns are as efficient as they could be. When someone calls and you have call tracking enabled, you get immediate access to all types of information. You’ll know who your leads are, even if they didn’t leave a message, and you’ll be able to make important determinations and decisions about your business and marketing campaigns.All of this information is at your fingertips when you use call-tracking, which makes the service one of the most valuable investments for overall marketing portfolio. If you care about earning more leads, driving more conversions and earning more of a return, which of course you do, call tracking is a must-have for your business. Not only can call tracking help you optimize your site with the proper keywords, efficient navigation structure and overall conversions, but Google likes sites that are useful. Useful sites tend to convert more often. Therefore, there’s a good chance your higher conversions will contribute to greater Google rankings.So, you see, call tracking is excellent for SEO and it’s simply good for business. When analyzing phone tracking data and listening to recorded phone calls, look for patterns. For instance, the time of day can be maximized using call tracking. If you notice that most calls come in between two and four in the afternoon, you know to put your most skilled team members near the phones during those times. You are encouraged to pair your call tracking software to your CRM, Google Analytics and paid ad platforms to get a 360-degree snapshot of the buyer’s journey and each touchpoint customers make as they go from lead to customer or client.While incredibly valuable, call tracking is only one aspect of a full-scale marketing campaign. But by combining call tracking with your other analytics and customer information platforms, you’ll get more from the tracking data you glean. Make sure you listen carefully to each and every phone call. While tedious, you can gather uniquely valuable information, such as common customer concerns and new sales tactics.This can only be achieved by understanding your leads, customers, and clients on a deep and intimate level. What better way to attain that level of understanding than to listen to your audience in their own words? 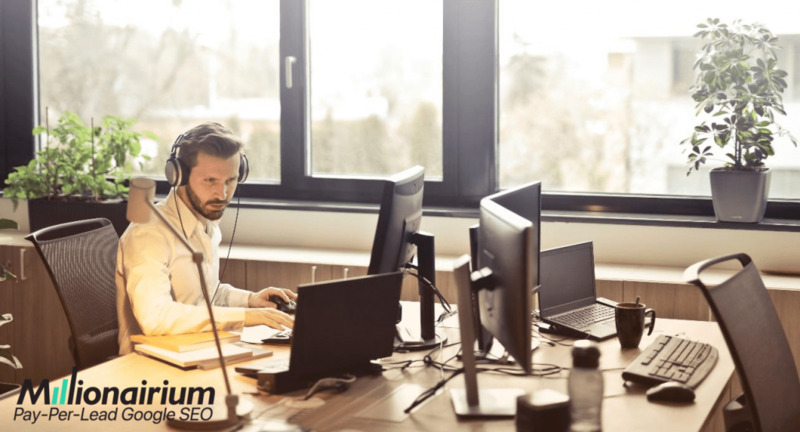 At Millionairium, we use the call tracking service CallRail, which costs as little as $30 per month but can be scaled higher for bigger operations. The good news is that CallRail is included with our new Pay-Per-Lead SEO service, where you only pay for the leads we generate for you through our search optimization efforts. With call tracking, you’ll get more useful data and be better prepared to serve your leads and customers with just the information they expect as they move through your sales pipeline. We have used CallRail successfully to help our clients boost their leads, conversions, and return over and again. We highly suggest you use CallRail also, as it has an intuitive interface, is easy to use, and puts lots of critical lead and customer data right at your fingertips. CallRail has a 14-day free trial if you want to try it out and there’s no credit card required. It’s said that 90% of marketers struggle to directly link their marketing efforts to their conversions. With call tracking, you can more easily identify a customer’s journey, identify campaign roadblocks, and improve your campaigns and processes every step of the way. Great article! This is exactly what we need to move forward. Thanks Jason. One of the best articles on the subject. It is really interesting. Thank you for your info. I’ve definitely picked up anything new from right here. I did however expertise several technical points about Google Search Engine Optimization using this website.